Dutch prosecutors say they will appeal against the 18-year sentence handed down to the killer of Dutch politician Pim Fortuyn. Volkert van der Graaf, 33, was convicted on Tuesday of shooting the flamboyant anti-immigration politician nine days before elections in May last year. Prosecutors had been demanding a life sentence, and the court has been widely accused of being too soft. 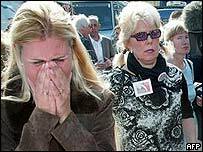 Fortuyn's family and supporters and his political party, Pim Fortuyn's List (LPF) all criticised the sentence. Interior Minister Johan Remkes, of the liberal VVD party, said: "I was somewhat surprised by the sentence, and that's an understatement." Critics have also pointed out that criminals in the Netherlands often serve only two thirds of their sentence, so Van der Graaf could be free in 11 years, having already spent a year awaiting trial. Correspondents say Dutch courts usually jail defendants convicted of a single murder for 12 to 16 years. Only 21 life sentences have been handed down in the past 50 years, generally for serial murders. Van der Graaf, a 33-year-old vegan environmental campaigner, confessed to the murder, saying he saw Fortuyn as a power-hungry threat to society who tried to turn vulnerable social groups into scapegoats. Prosecutors decided to appeal after taking a closer look at the ruling and concluding that the sentence was "in a grey area," said spokesman Robert Meulenbroek. "The court failed to take into account that the suspect had intended to seriously upset the democratic process by killing Fortuyn," the prosecutors said in a statement. 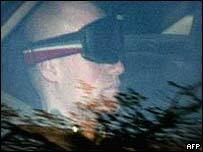 They also said the court had omitted to take into account Van der Graaf's failure to show sorrow or remorse. The three judges had said their sentence reflected both the severity of the murder and its impact on Dutch society. They said Van der Graaf wasn't likely to kill again and should be given a chance of rehabilitation. The prosecutors disagreed, saying he remained a threat to society. Van der Graaf's lawyer, Britta Boehler, said on Tuesday that judges had been right not to hand down a life sentence, and that 18 years was a severe penalty. Analysis: How will Fortuyn be remembered?